As soon as a customer visits your website, the first and foremost thing that he/she notices is your website design. Whether it’s about functionality or visual appeal, your eCommerce site must look and feel professional as soon as it gets launched. An excellent way to design an effective and functionally powerful eCommerce store is by means of using a Prestashop template. 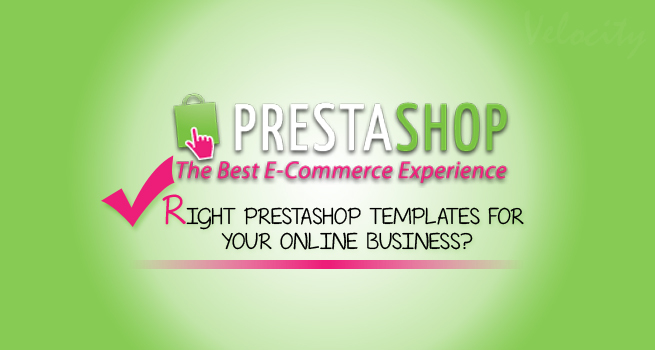 Prestashop templates are a quick way to professionalize your online store. Prestashop, being an open source shopping cart software allows you to modify the solution as per your business needs. Flexibility and customization that allows you to customize the layout and color of theme as per your business needs. Using stylish web interface of Prestashop Template will not leave you in the dark as to what to do next. You can get one out of many Prestashop template designed as per your business requirement. Prestashop themes contributes a lot to maintain standard as well as uniqueness in your website’s main home page. Nobody wants to look the same as every other website online and by using one of the custom themes, you can set yourself apart from your competitors. One of the best parts about using Prestashop template for your online store is that you don’t have to be a programmer to install it. These are very easy ton install and there are only a few steps you will need to get your site customized the way you want it to be. If you own an online store, you need to know how important is to have a visually appealing and functionally performing website. By using Prestashop theme, you will be able to settle with the right store for your business, which would look and function exactly the way you want.